Both feared and marveled upon in equal measure, much like the marine mammals with whom they share a namesake, Bitcoin whales move around this space causing ripples at every turn. Who are the known Bitcoin whales in the cryptocurrency space? Many of them are anonymous traders, exchanges and hedge funds, identifiable by public address only, however, there are some among them who openly declare themselves and their holdings. What Bitcoin (BTC) list would be complete without mentioning the enigma himself (herself, themselves?). Satoshi created Bitcoin back in 2008, and the rest is history, since then one of Nakamoto’s only known address, dubbed, the genesis address, has seen little to no activity, besides some seemingly grateful donors of varying amounts of BTC. The alchemist of digital gold is said to be in ownership of around 1 million BTC, (a figure which differs depending on who you ask) amounting to a current USD equivalent of $4 billion; though this probably isn’t all stored in one place, as It is thought that Nakamoto has multiple addresses. Satoshi is presumed to be the biggest holder of BTC in the world AKA the largest marine mammal known to man: The Blue Whale. Fitting. Read more: At what price will Bitcoin make Satoshi Nakamoto the world's richest? Tyler and Cameron Winklevoss famously fell out of sorts with Facebook creator Mark Zuckerberg, suing him in 2004 for the rights to the site; the pay off accrued them $20 million and Facebook stocks. With this newly acquired money, the Winklevoss’ invested in numerous ventures, one of which was Bitcoin. In 2013 the twins invested a reported $11 million into BTC at a price of $120 per coin amounting to roughly 92000 BTC a current price of 368 million dollars. Not bad. 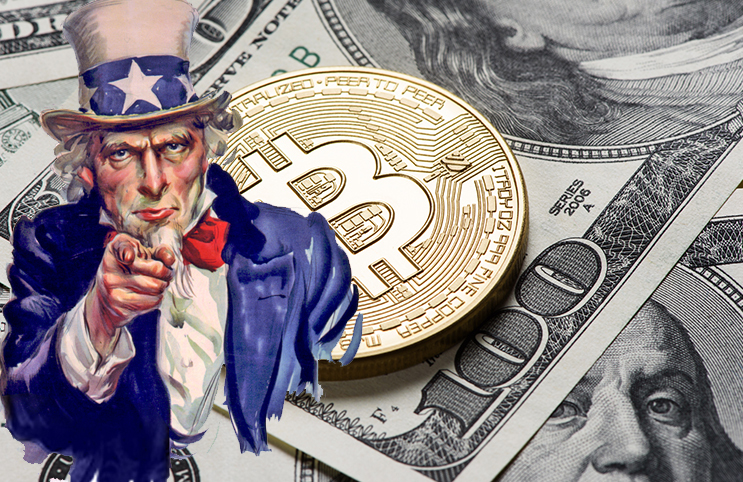 It’s estimated that federal government has accrued more than most peoples fair share of the digital currency, with the FBI alone reportedly seizing 144,000 BTC. most of which was appropriated when the agency shut down the infamous Silk Road - a darknet marketplace for all sorts of nefarious goods. At the time of seizure, the US government would have been the holder of one of the biggest BTC wallets in the world. Apparently, Uncle Sam isn’t a big HODLer subsequently auctioning off the silk road loot for a mere $48 million. This amount would have been close to $580 million in today’s prices. Shouldn’t have had such weak hands… Wonder who bought them? “We started mining and we got a bunch of Bitcoin and we put it into this very secure exchange called Mt. Gox. So that money disappeared and then I thought: "Too bad." Draper slowly built his portfolio back up by accruing BTC incrementally, until he went full on an auction, you guessed it, the very same auction Silbert bought his share of BTC. Draper bid bided on several lots, eventually accumulating around 40,000 BTC. As of right now that BTC, which Draper - a known HODLer - probably still owns, is worth $160 million. Making Draper one of our biggest known whales, and a fairly innocuous one at that. This address was the recipient of 500,000 BTC back in 2011, a record breaker which is now cited as the largest BTC transfer in history. At current prices, It would be worth an earth-shattering $1.5 billion. In 2014 one of the most defining events in crypto history occurred, a transfer of 30,000 BTC from the aforementioned address was sent to the Bitstamp exchange and instantly liquidated at $300, $50 below market price at the time. “I could have gotten a better price if I spent more time working the order I guess,” the bear-whale told a Bitcoin Subreddit. Slaying the Bear Whale from Dan Held on Vimeo. That completes our list of known Bitcoin whales. Research has proven that crypto whales actually have far less of an impact on the market than first estimated. Moreover, the beasts are even said to be beneficial to the crypto ecosystem. Still, there are some with intentions far from altruistic. So remember, it's better the devil you know. Do you think Bitcoin whales are a risk for the crypto space? Yes, they are up to something. Only as much as in any other publicly traded asset. It looks lika a planned manipulation from Bitstamp. `In 2014 one of the most defining events in crypto history occurred, a transfer of 30,000 BTC from the aforementioned address was sent to the Bitstamp exchange and instantly liquidated at $300, $50 below market price at the time. ` It looks lika a planned manipulation from Bitstamp.